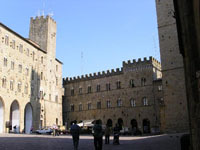 Tuscany offers multiple attractions to visitors. In its towns you breathe history, art, culture. The seaside goes from the the quite beaches of Versilia to the beautiful Argentario, the mountains and tuscan country are unique. Villa Sonnino invites guests to discover the wonders of San Miniato. The San Miniato's System of Museums consists in a net of expository centres that let one enjoy the collections - still belonging to the institutions which joined the project - in their original seat and, at the same time, make one perceive their connection with the wider framework of the town. This kind of approach to the artistic features of San Miniato wants to suggest an ideal route which, going through the streets and the history of the town, makes its settlement and its structure thoroughly comprehensible at last. 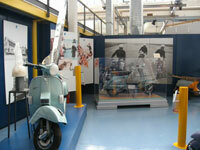 The Piaggio Museum was created to preserve and highlight the value of an extraordinary legacy. Its objective is to tell the history of Piaggio and through it the development of Italian industry, economy and society by exhibiting some of the company's best-known, most representative products. These extraordinary objects show transport in all its forms. The Via Francigena was the most important pilgrim route in medieval Europe. It starts from Canterbury, runs through the county of Kent till the Channel and then through the French regions of Nord-Pas de Calais, Picardie, Champagne-Ardenne and Franche-Comté; then it crosses the Swiss border in the cantons of Vaud and Valais and, once it has reached Italy, heads to Rome through seven regions: Aosta Valley, Piedmont, Lombardy, Liguria, Emilia-Romagna, Tuscany and Latium. If you visit Tuscany you must see Volterra. In the center of the town you will find Etruscan walls, Roman Theatre (1st century BC) and medieval buildings (as the famous Palazzo dei Priori). Also, Volterra is celebrates all over the word for the extraction and manufacture of alabaster.